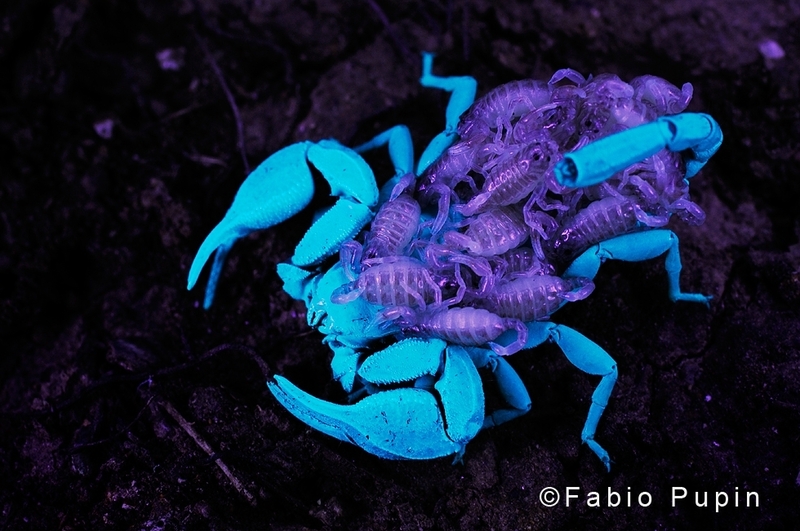 Scorpions reflect UV light. It’s not completely clear why it happens: some hypotesize that they inherited this trait from their marine ancestors, and indeed they share UV reflectance with many organisms living underwater; other studies speculate that scorpions colonized dry lands when the UV light intensity in the hostile atmosphere was greater than today. Whatever the reason, this trait survived. 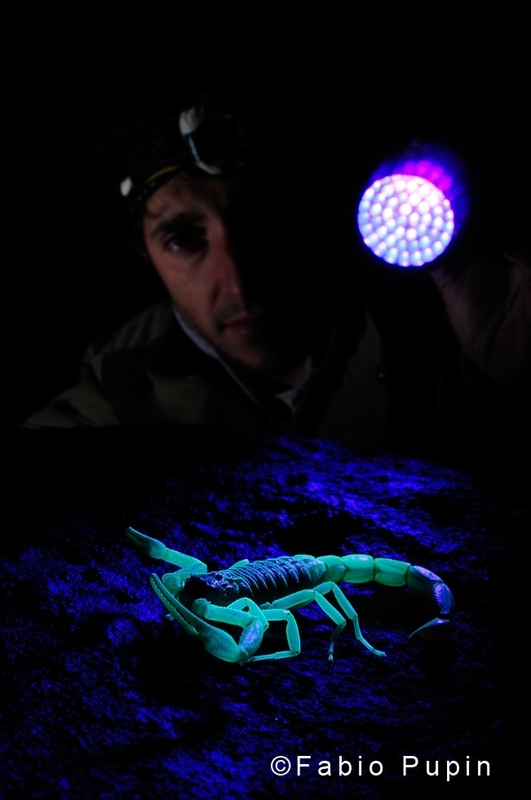 Researchers looking for scorpions easily take advantage of it, and spot scorpions using UV lights in night surveys. 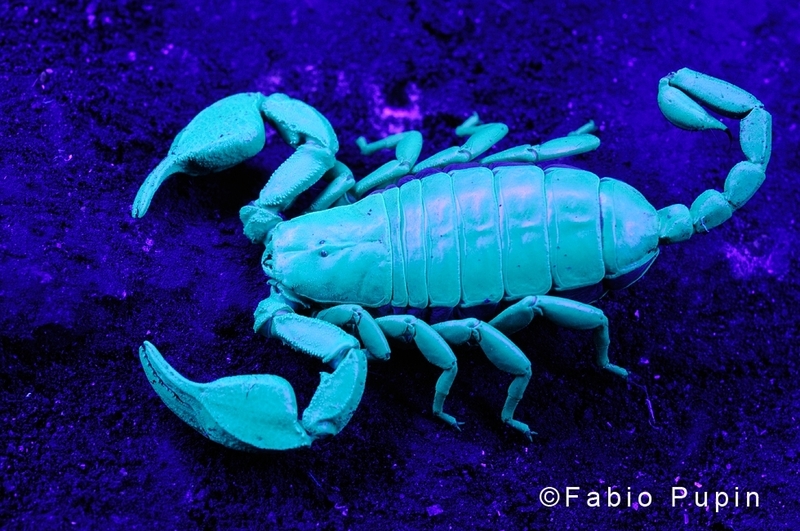 Under a UV light, scorpions change, and glow in intense green and blue. 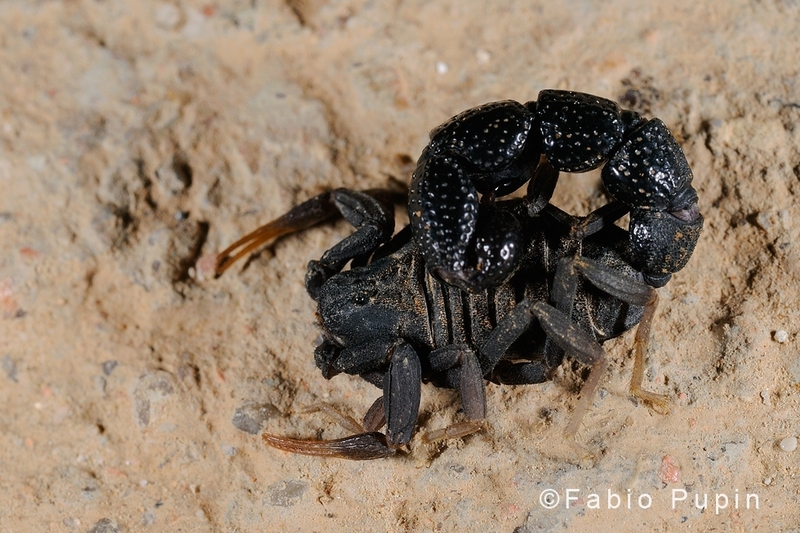 When I took the photo below, I already started portraying scorpions under UV light. It’s an easy technique: all you need is to use a tripod and set the camera on long time exposures, and of course a UV light. 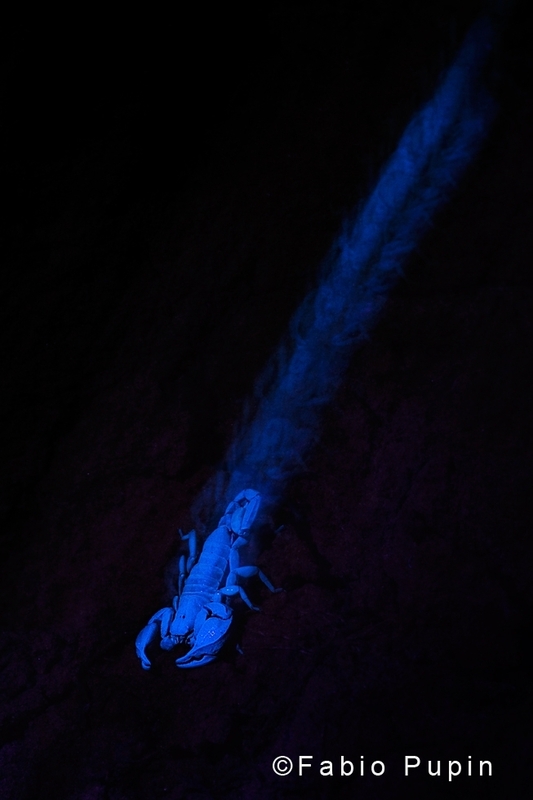 The trick is just to use the light as a brush, painting gently and slowly above the scorpion’s body, to evenly light it up, being careful not to move too quickly, as scorpions can detect the feeblest air movement.